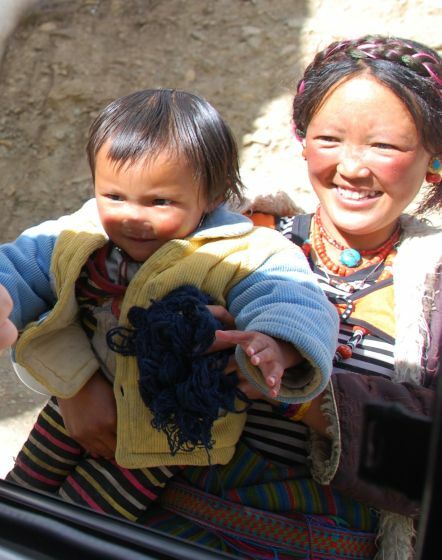 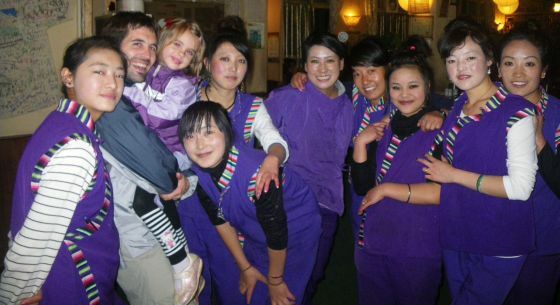 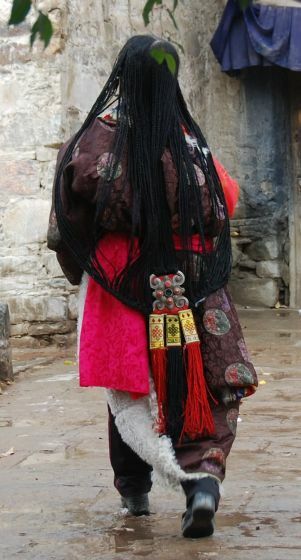 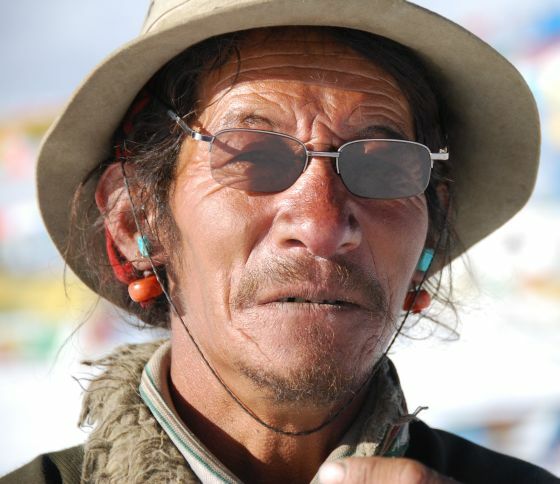 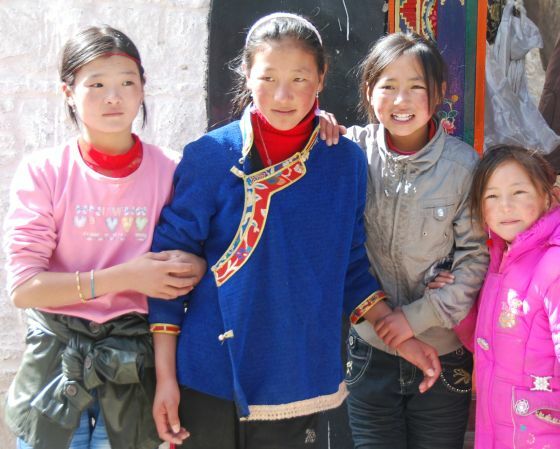 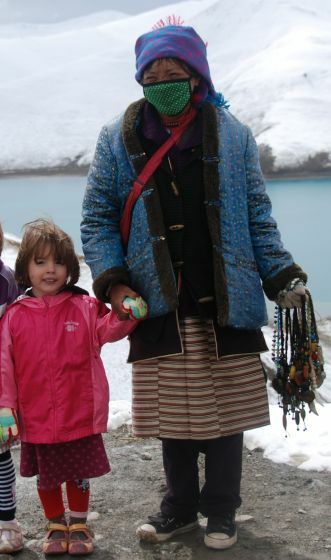 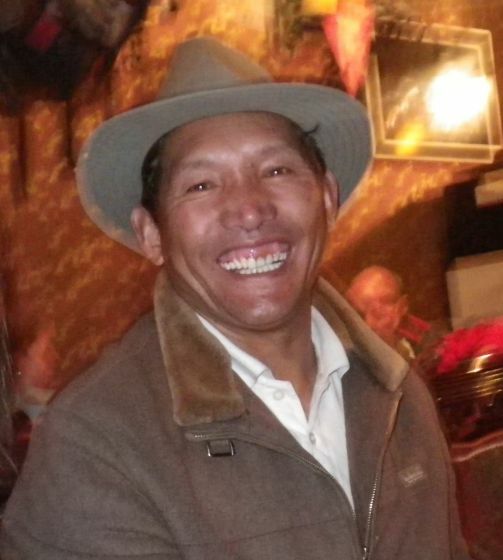 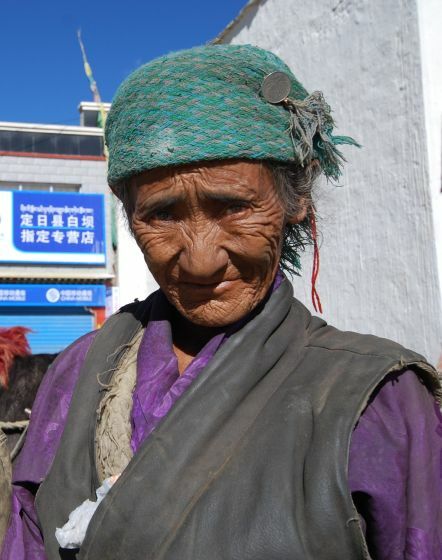 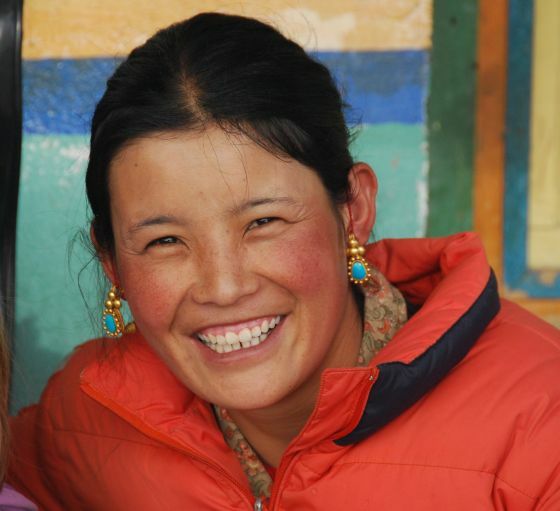 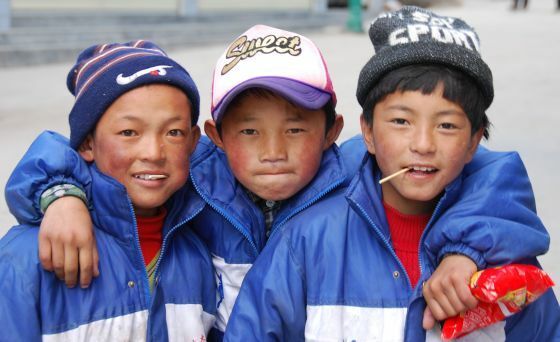 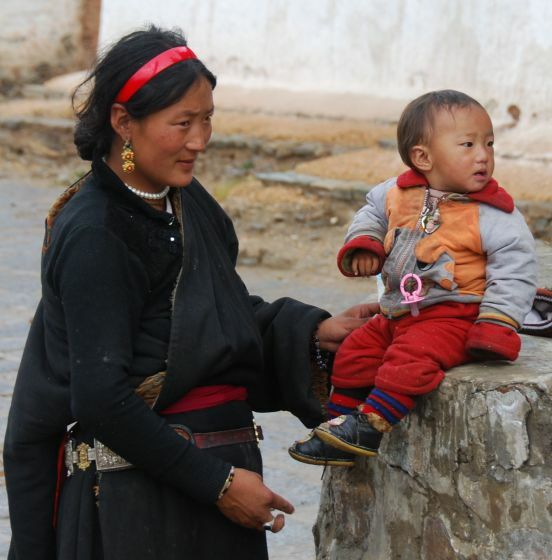 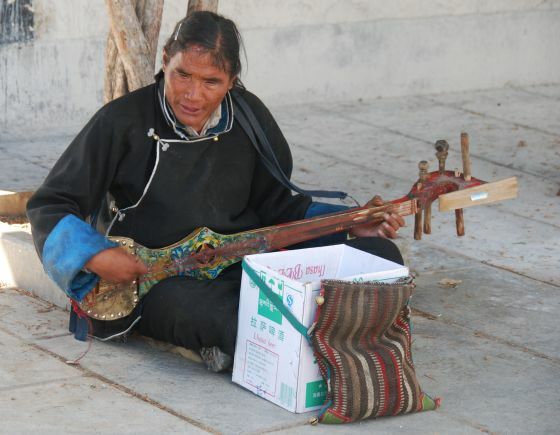 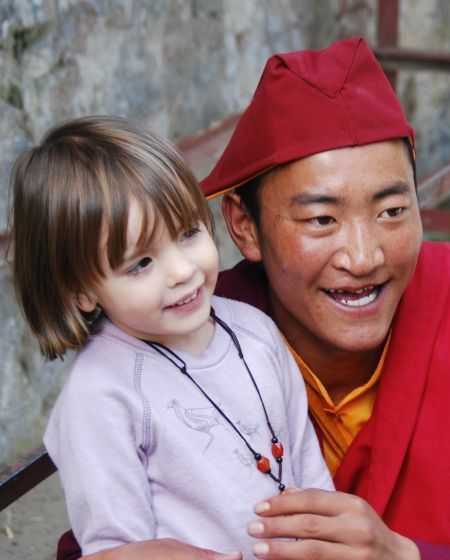 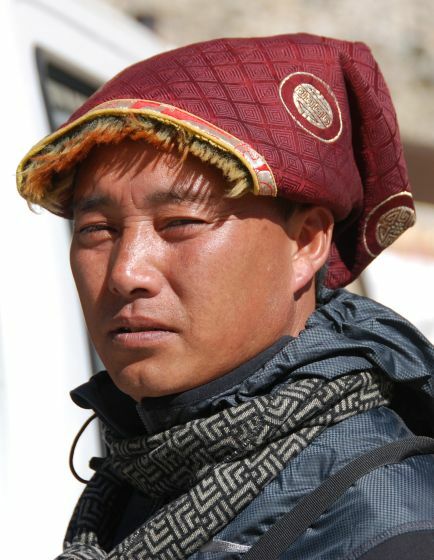 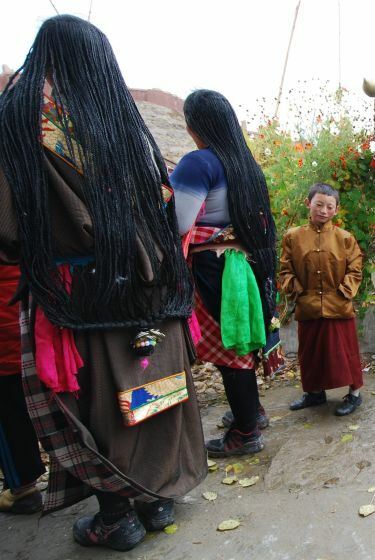 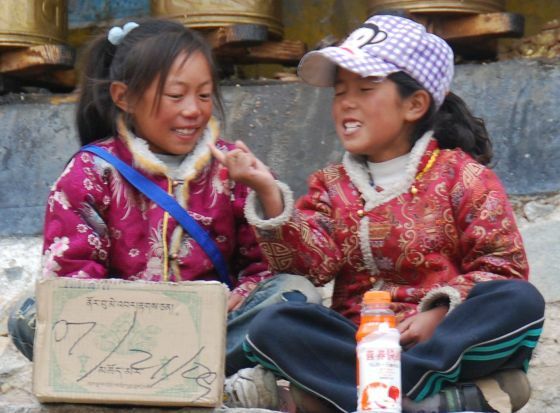 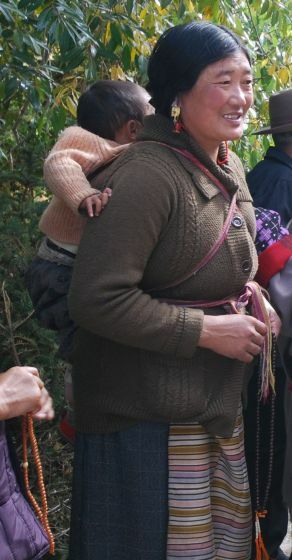 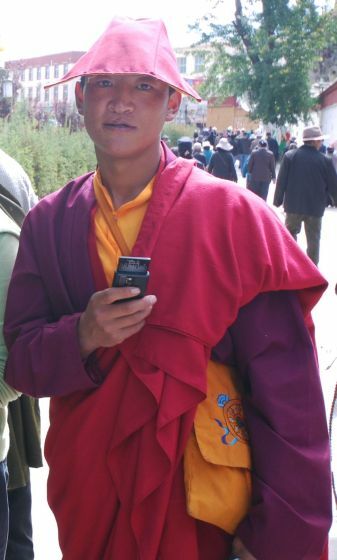 The Tibetan people are very beautiful, both inside and out. 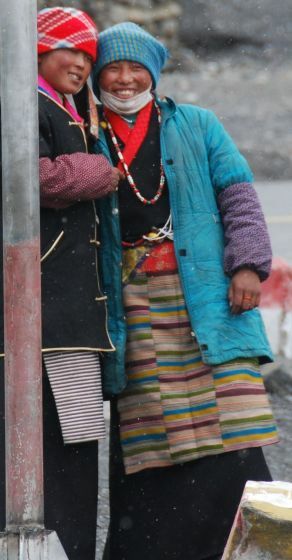 I found them to be very kind, quick to laugh, and gentle. 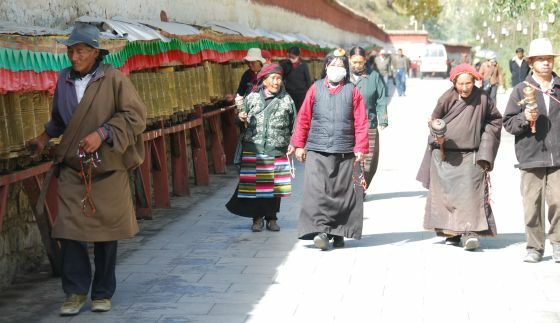 They seemed to be very contented and peaceful people. 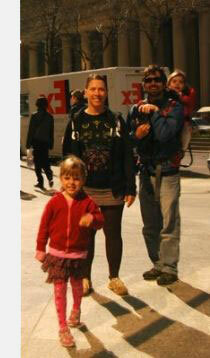 Here are a few of the faces and wonderful clothing we spotted. 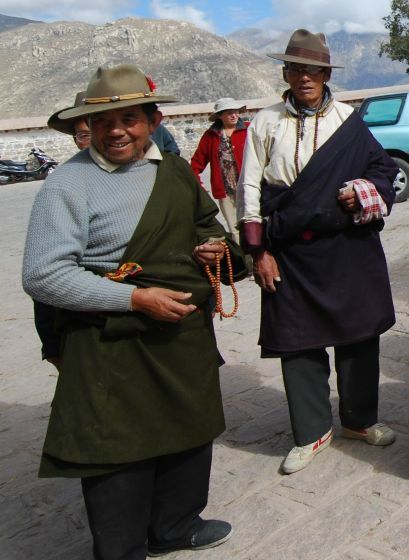 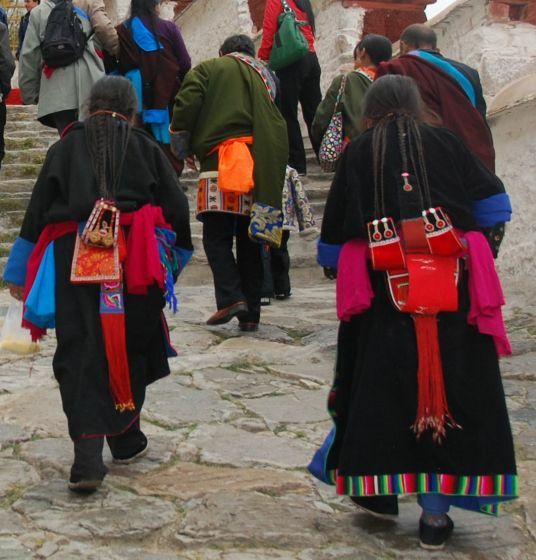 Many of these people have come on a pilgrimage to these temples that we are visiting from remote parts of Tibet, wearing their native dress. 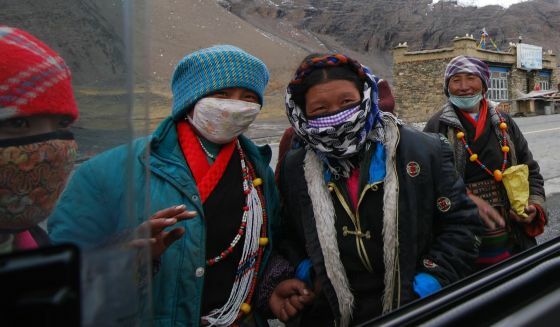 At a mountain pass at 4700m (15,000 ft.), many women wear a mask to protect their cheeks and mouth from the cold, dry air. 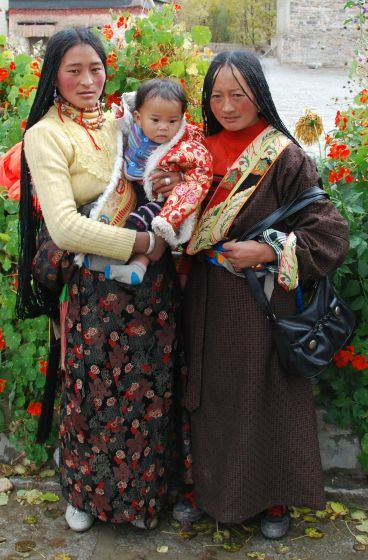 Such beautiful people and beautiful photos. 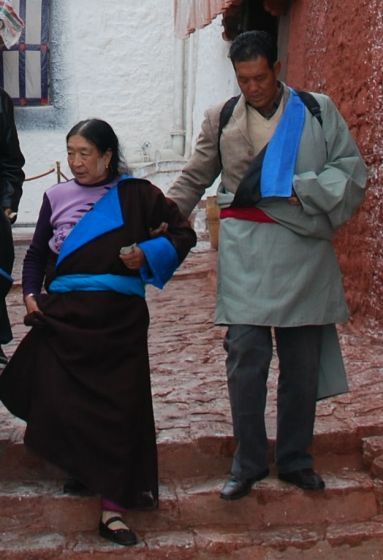 I hope you guys will do a slideshow one day.